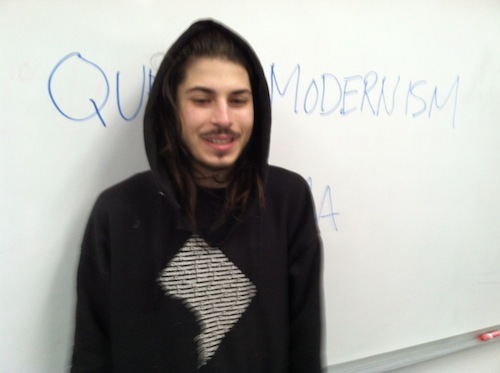 Last fall I taught a course called “Queer Modernism” at California College of the Arts. As a class project, my students traced a queer itinerary through the permanent collection at SFMOMA, culminating in a queer audio tour of the museum’s holdings. Each student first wrote an introduction to queer art at SFMOMA, explaining the interest of our queer intervention: How does looking at art through a queer lens show familiar works in a new light and, more generally, change our understanding of modernism and its canons? We used the term “queer” loosely. It could apply to any work that lends itself to queer interpretation, contributes to a critique of sexual/social/artistic norms, celebrates homoeroticism, refuses a fixed identity, participates in the establishment of a dissident cultural lineage, and/or subverts gendered power structures. Based on focused research, each student ultimately produced an audio stop illuminating one work of art from a queer angle. 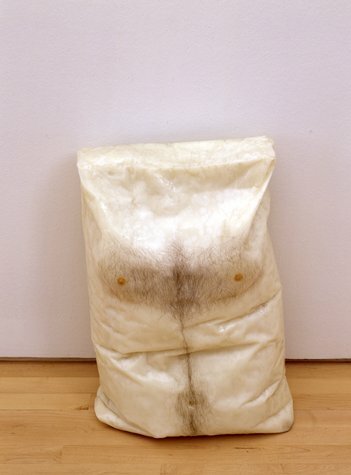 Lael Seltzer looked at Robert Gober, Untitled (1990). Posts in the “Queer Tour of the Permanent Collection” series address other works in SFMOMA’s holdings, such as Agnes Martin’s Falling Blue (1963), Claude Cahun’s Untitled (1929), Jess’s The Mouses Tail (1951/1954), and Janine Antoni’s Lick and Lather (1993-1994).